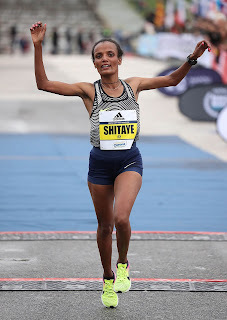 Abel Kipchumba won with 1:00:12, the women’s first place taken by Shitay Eshete of Bahrain Best performance of 2018 year set in the Napoli 5km Grand Prix. NAPLES – The 5th Napoli City Half Marathon, another event organized by RunCzech, was supposed to be fast and very fast it was indeed. Though the rain from the night before left the asphalt wet and caused some adherence problems for the great first positions champions, they still raced at exceptional rhythms. Fortunately, a beautiful sun did come out to accompany, at least from the middle of the race onwards, all the professional runners and the myriad of amateurs who enthusiastically took to the streets of Naples. The best Italian runner was Stefano La Rosa, who placed 5th with 1:04:25. WOMEN'S RACE – A record for the competition, as well as a personal best, for the women's race, which also was very fast. Eshete Shitaye, of Ethiopian origin but running under the flag of Bahrain, took the title with 1:08:38, the eighth best time in the world on such distance in 2018. A really exceptional time record that makes it clear just how fast this new course is. Passing the tenth kilometer mark in 32:20, the runners pushed their limits throughout at a pace of 3:15 per kilometer. The second place was taken by Antonina Kwambai from Kenya with 1:09:07, who improved her personal best by 40 seconds, while the third place went to the Ukrainian Olha Kotovska, who concluded in 1:14:27. The best Italian was Carla Primo from Turin, who came in sixth place with 1:24:48. 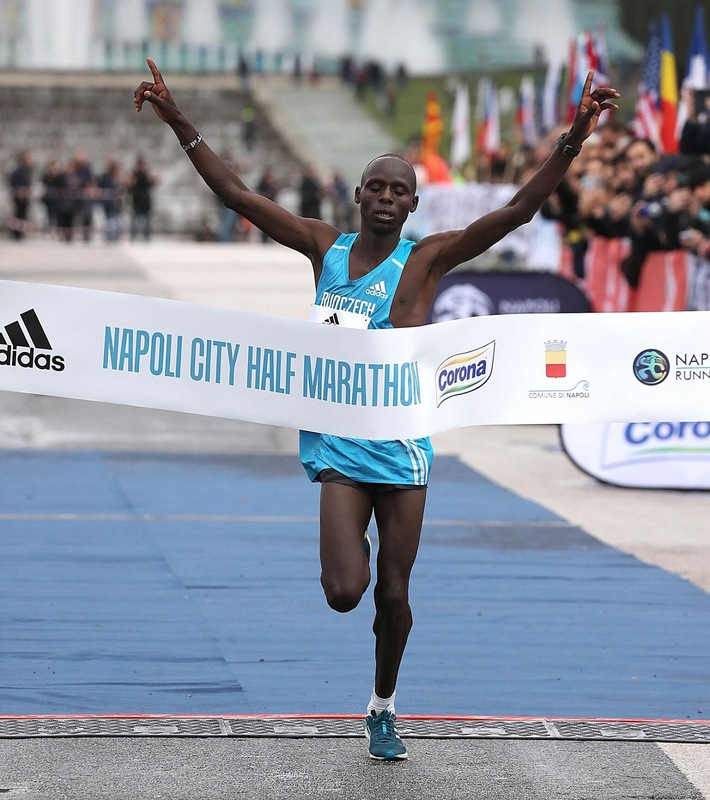 The Napoli 5km Grand Prix race exclusively for elite athletes was also held today. The race was won with the exceptional time of 14:00 by the Kenyan, Geoffrey Koech, who thus set the best performance in the world in a 5 km for 2018. Amongst the women it was Daisy Jepkemei, also from Kenya, who took first place running in 16:04. The Napoli City Half Marathon was broadcast on Fox Sports, channel 204 of the Sky platform as well as in few other countries, among which China and the United States. Being a part of Napoli Running project, founded by Carlo Capalbo, this year's edition proved to be a real success and a real starting point for the future. With these numbers, with this climate of happiness, euphoria and optimism, with these notable performances, the race of Naples has already become a race of primary importance in Italy and is a candidate to become, one of the world’s running capitals in the years to follow. “Today another step has been taken towards the creation of an international competition as per our ambitions – were the President’s, Mr. Capalbo, first words at the conclusion of the event. – With a great display of competence from all the organizational parts involved, I would like to thank the Neapolitans and all the Institutions, as well as the 600 dedicated volunteers who demonstrated an exemplary professionalism ". The next date to mark on the calendar for a Napoli Running race is December 2nd for the 54 km Sorrento-Positano ultramarathon and the 27 km Panoramica and, following that, the 6th edition of the Napoli City Half Marathon in February 2019.